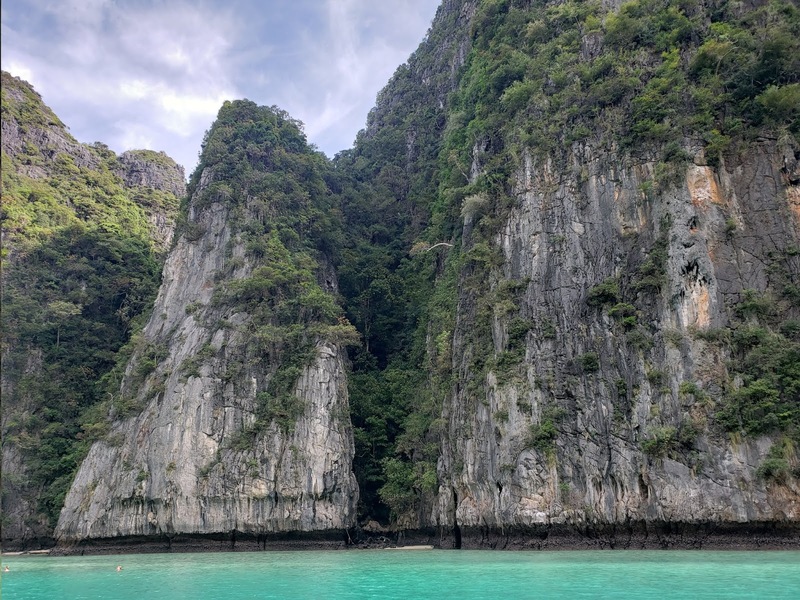 "The Phi Phi Islands are located between Krabi and Phuket, Thailand. Travelling to Thailand has been on my list for a very long time and I am beyond pleased that I finally had the chance to go." 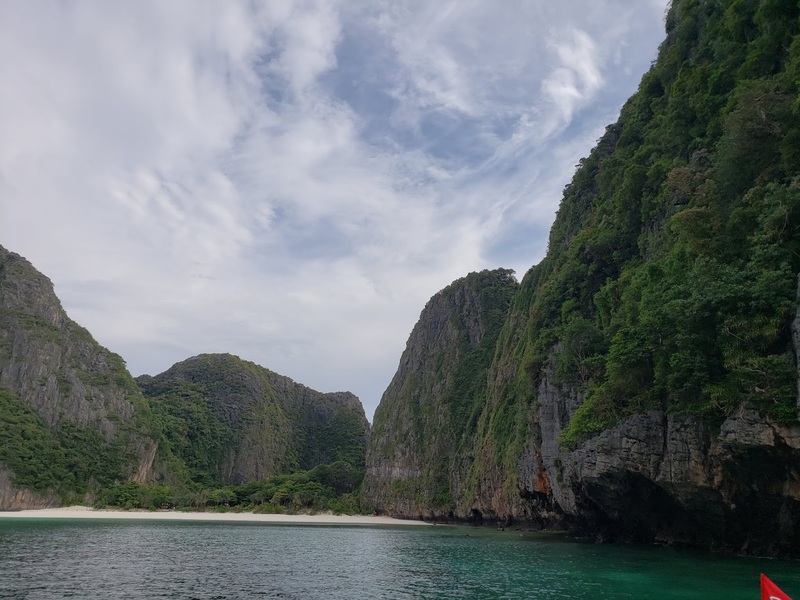 It is covered in jungle forests, outlined with stunning sandy shores and a great destination to do a bit of exploring. 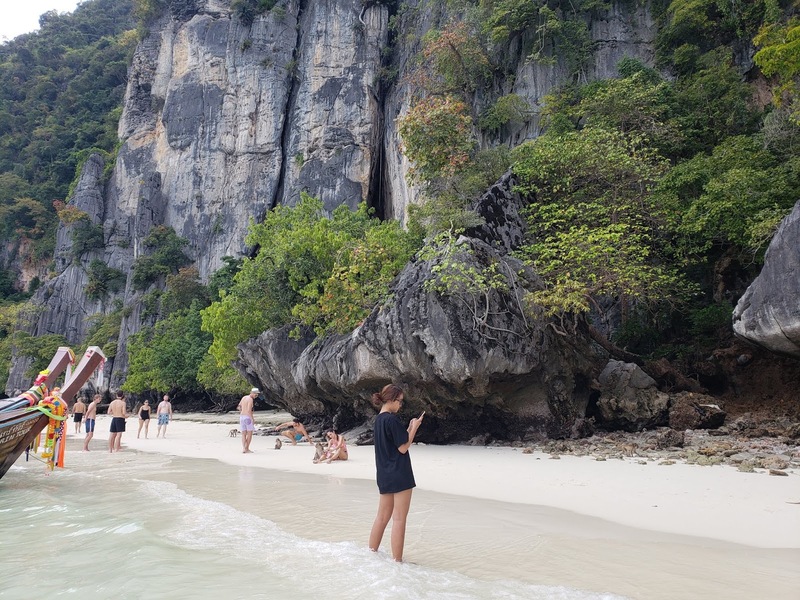 If your'e not into that sort of thing, the Phi Phi Islands are also a great place to just unwind, relax and do absolutely nothing at all. But of course, I don't recommend that. 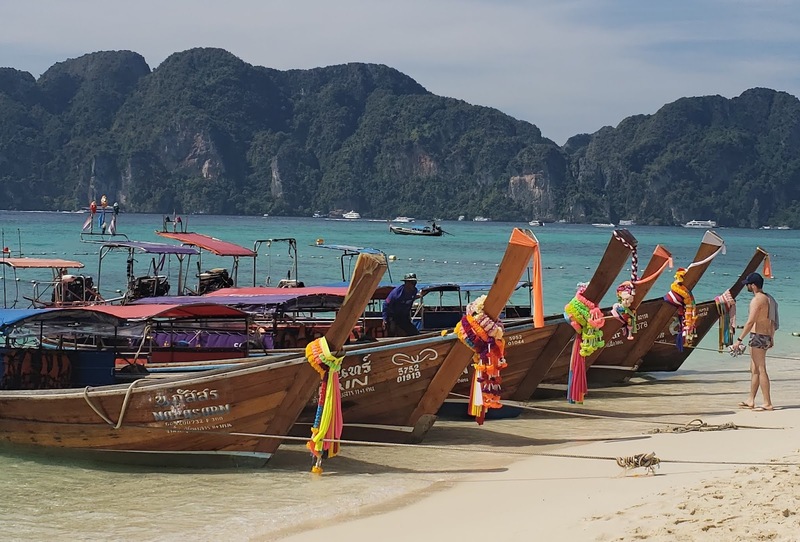 Make a Reservation at Phi Phi the Beach Resort. The Resort is BEAUTIFUL. I can't emphasise enough. It has stunning views, wonderful staff and absolutely worth the price. I personally love the sea and setting sail on boats so this was a win win for me. 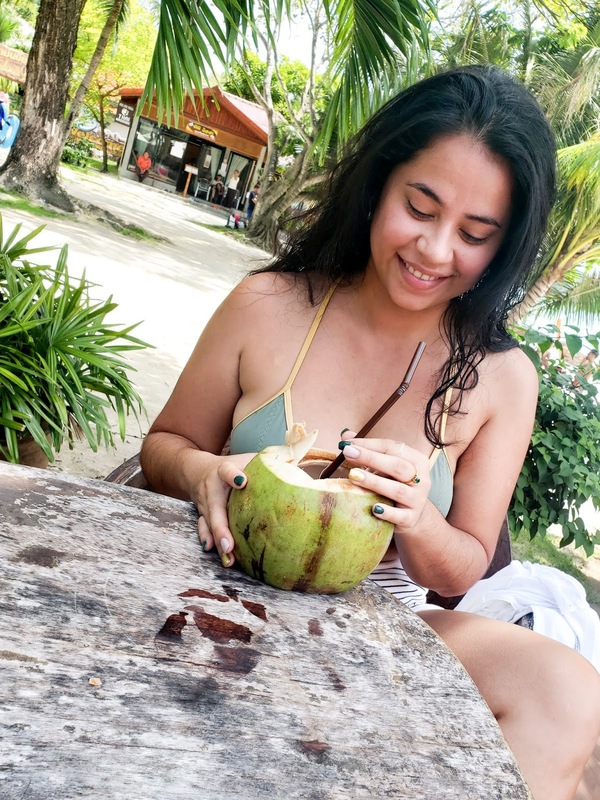 They take you to all the outlining islands, provide you with snacks and drinks, snorkels and show you the most breathtaking views. 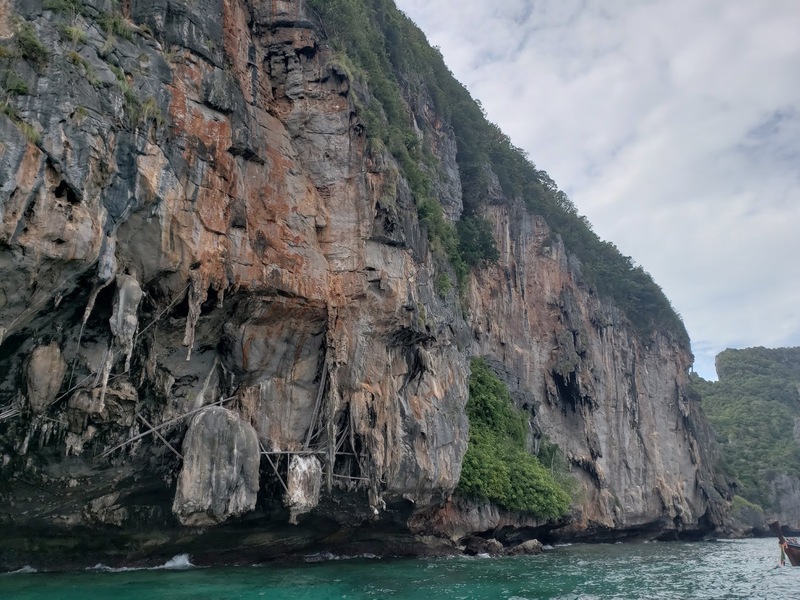 On the Boat tour, they usually sail off to Monkey Beach, which is quite secluded, where you can get off and meet the little rascals yourself. Bare in mind, these Monkeys are territorial and can actually be quite mean. Even the tour guide emphasised - "DO NOT feed the monkeys". You can imagine my bafflement when people did not listen, took out a bunch of bananas to give them and panicked when they came charging, sending bananas flying in all directions. 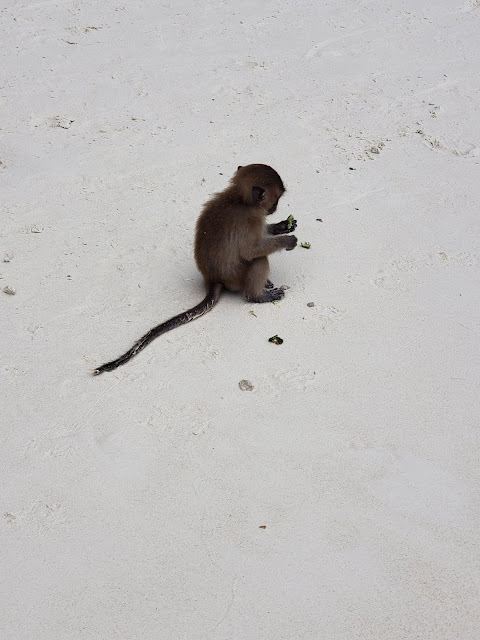 This result ended in all the Monkeys fighting and two people being bitten. Do the smart thing and learn to listen. Besides that, I was very happy cooing over a baby monkey and loving all of them from a distance. 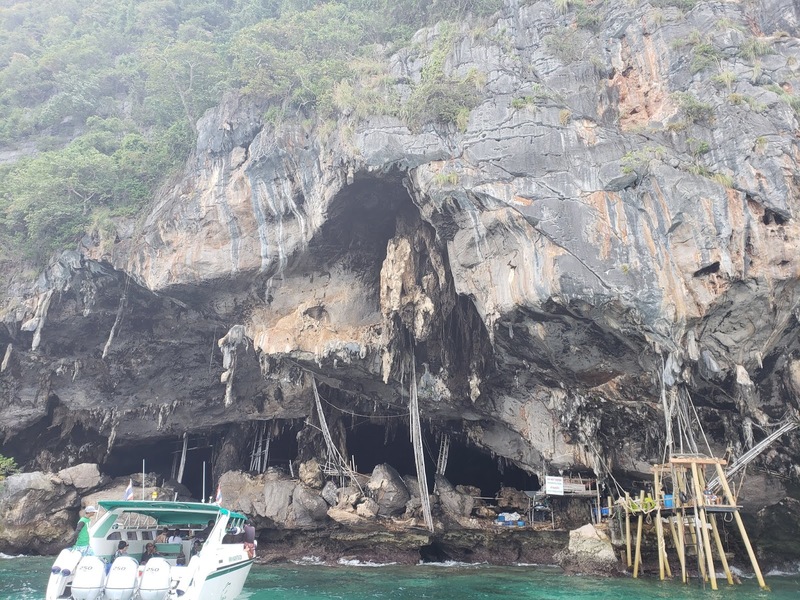 My Boat tour sailed past these beautiful caves that absolutely fascinated me. 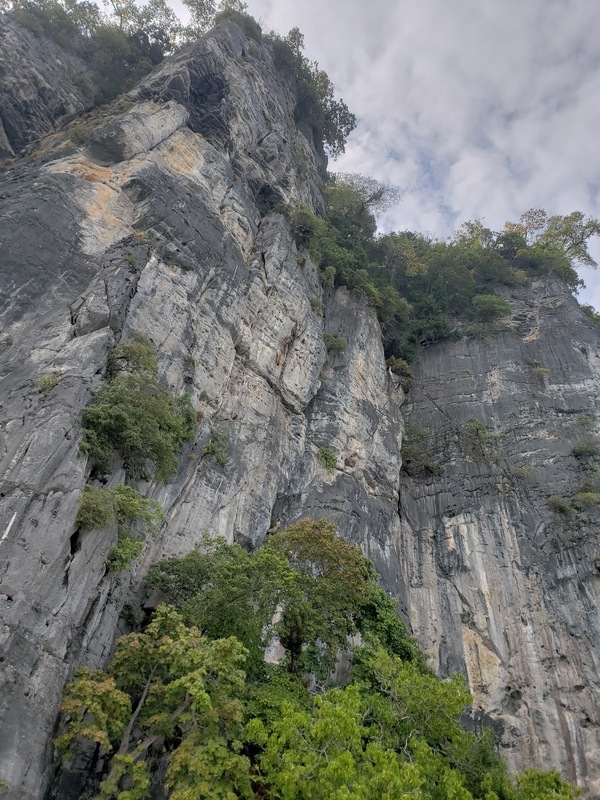 You're not actually allowed to get off and have a look up close but this is because (and here is a fun fact for you) people actually live in these caves. So technically, you'll be on private property. I ADORED this part of the trip. Pileh Lagoon is very isolated with stunning cliff views. The location where the boat anchored was perfect for swimming. With at least 10ft below you, I felt quite free to splash around and not be wary of any unwanted sea urchins near my feet. My Resort was so great in providing different activities for the times you wanted to just relax nearby. I went snorkelling pretty much everyday and renting a kayak for an hour was just fun to do. 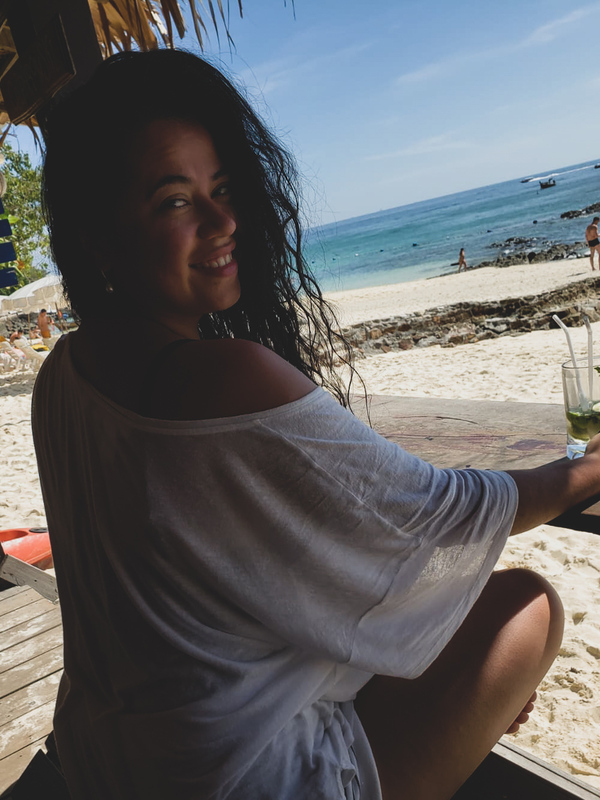 If you walk alongside Long beach, you'll find lots of little shops that can provide you with things you may want to try. If you are a strong swimmer, I recommend swimming off to Sharks Point with your snorkel at hand. Here, you get a chance to see a variety of beautiful fish, coral and best of all, the Black Tip shark. The day I decided to head off, the current was very strong. This is something I'd be wary about if you wanted to have a try. Seeing a Black Tip shark was the most amazing experience as it swam literally right in front of me whilst I was clumsily trying to avoid my foot landing on a sea urchin. Yes, yes. That famous bay where the film 'The Beach' was set. The bay itself, is closed off to tourists and for that I am glad. 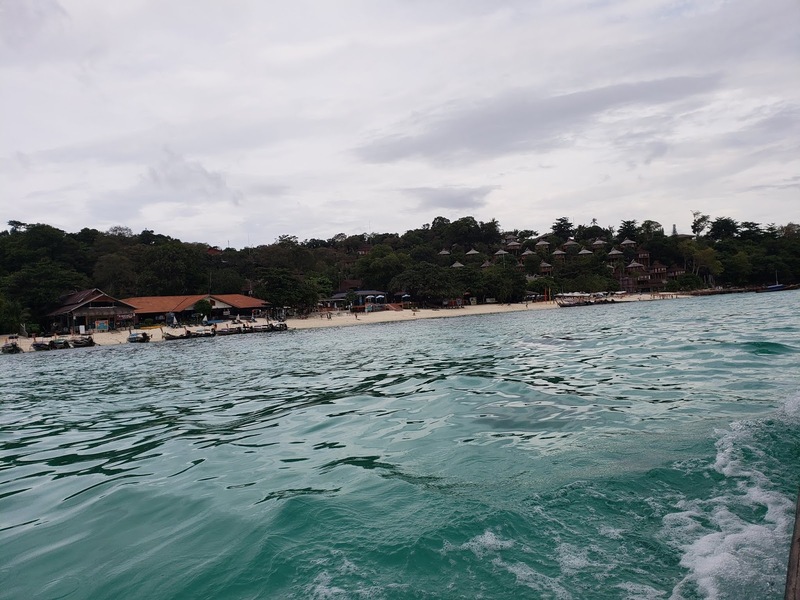 Due to tourism over the years, boats damaged the coral and people left rubbish lying around all the time to the point where it severely damaged the life there. Regardless, it's a beautiful spot and still worth the views. 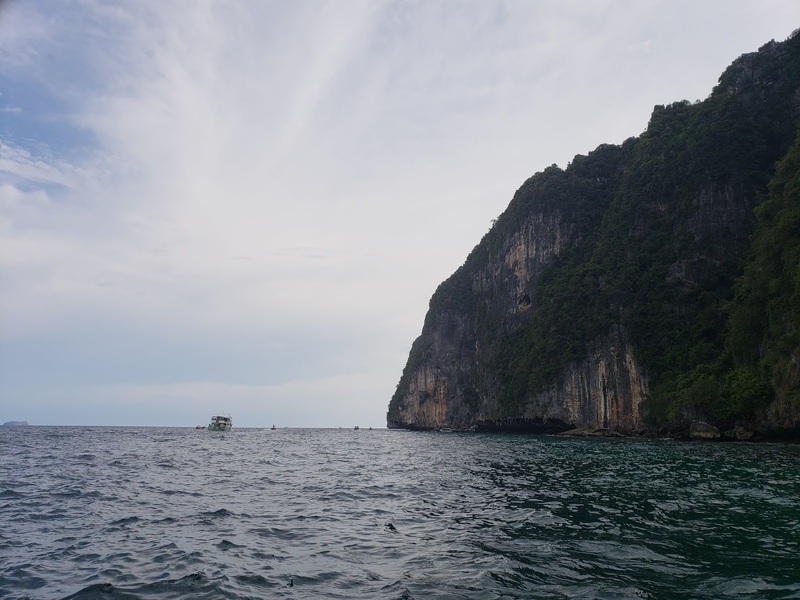 Our resorts resided on the far East of the Koh Phi Phi. The island is also so small its very easy to hike all around it in half a day. 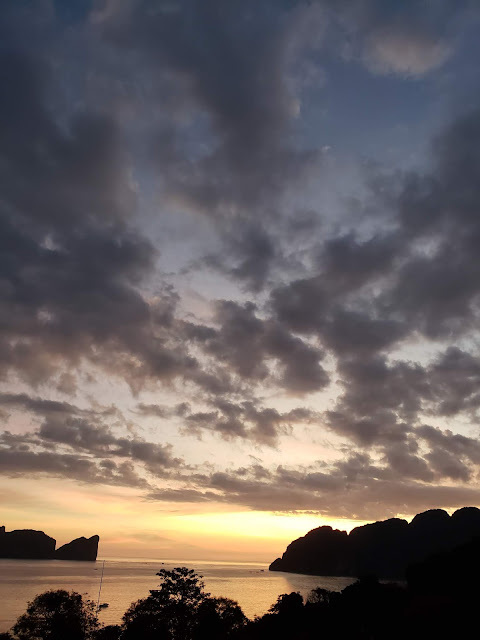 To get to Tonsai Pier, our little hike consisted of walking down Long Beach, climbing up a small rocky hill and following the coast line. Simple and fun! 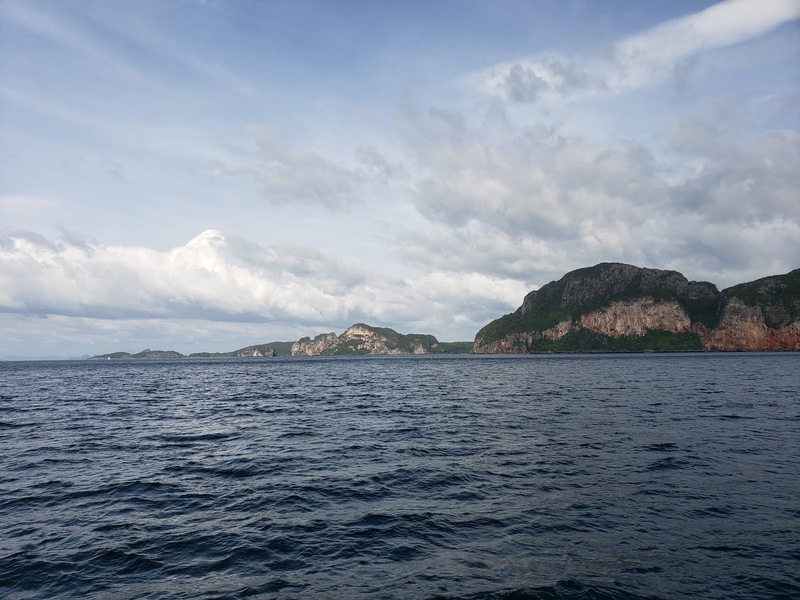 This is the main source for leaving and arriving to the island. It's a lot more busy and here you can find an array of different places! There are hundreds of little souvenir shops to buy clothing, stationary and ornaments. Great for getting little treats for family and friends. You can also find many bars, restaurants and even massage parlours!